The world of music is not without its complications and legalities. In a moment of frustration and disappointment, Tech turned to Twitter to vent about the issues he faces in completing the star studded “Worldwide Choppers”, set to be on his upcoming album All 6’s and 7’s. Citing legal woes and deadlines, he addressed the fact that “Worldwide Choppers” may not be heard the way it was originally intended. He also assured fans that Strange Music is doing everything within their power to make the original track possible. 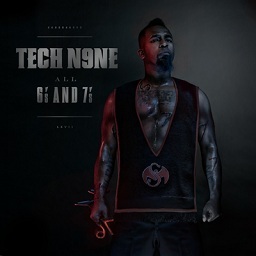 For now, the track is still slated for All 6’s And 7’s. We will keep you updated as more becomes available. Remember to pre-order All 6’s And 7’s here.